TRX chest workout for building strength. 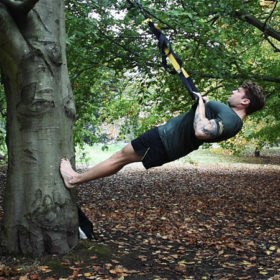 Build chest strength without a gym using a TRX and this one exercise in a park. 1 set involves 4-7 reps on each arm. Repeat for 4 sets.